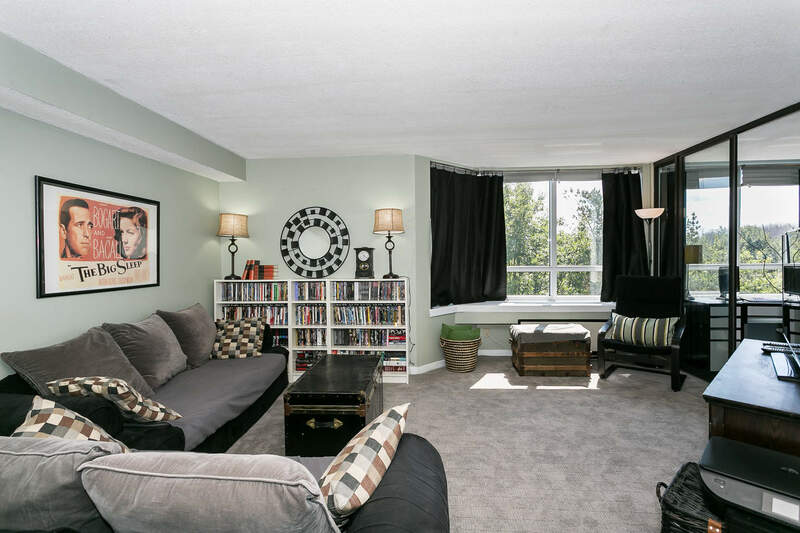 Enjoy absolute comfort and serenity in this sun filled condo overlooking a peaceful conservation area in Ottawa’s West End. Offering two bedrooms plus a solarium/den plus 1.5 baths this condo is sure to please. Freshly painted and nicely updated with new flooring throughout – the kitchen, hallways and Solarium feature Easy-to-Clean Pergo Ebonized Oak laminate flooring, with plush carpeting in the living area and bedrooms. Owners also installed new Heating/Cooling system in 2010. Click here to view the Photo Gallery or click Play on the Youtube Video below. The second bedroom features French Doors from the hall and Sliding Glass doors into the Solarium works great as a den or office as well – tons of natural light all day long. The master features a full four piece en-suite and a large walk-in closet. There is a convenient storage room right in the unit. This is one of the few units where the included parking spot is totally covered as well. Location Location: – well the views out over the conservations area are stunning all year long, and your south facing so bright all day and little need to even put the heat on in the winter. You’re just steps from the Queensway Carleton Hospital, sitting on the edge of a small nature trail and stream right behind the building. Quick access for both Highway 416 and 417. Close to schools, shopping, parks and Bruce Pit – Ottawa’s favorite and extensive off-leash dog park. From this location you can literally be anywhere in Ottawa in minutes whether by car, bike or transit. Well run, the building is kept and grounds are always immaculate and also includes great facilities, including Laundry, Outdoor Pool, Bike Storage room, Whirlpool, Sauna, Showers and Change rooms, Car Wash Bay, Party room with kitchen, outdoor private garden and sitting area with benches, tables and a screened in gazebo. A Guest suite is also available for visitors. Great opportunity if you’re looking for an affordable well-run condo building – windows have all been recently replaced. Call Eric Manherz today at 613-601-6404 today for a private showing!. Click on the attachment below to view the property details such as room sizes, condo fees etc.